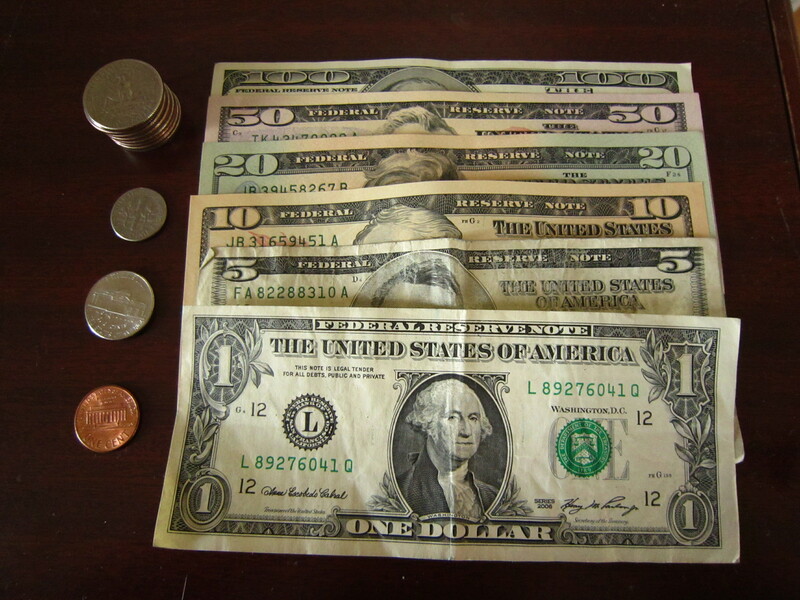 Here are some reasons to support my argument that American money is stupid. All very same same but different with the greenback denominations. Every single note is a greeny, yellowy beige. When you open your purse up, you have to inspect each note carefully before handing it over. Or virtually and they don’t recognise mere millimetres here, so we’ll just say that they are the same size. Again, it means that you need to inspect each note when deciding what to pull out of your purse. In America at least, the one cent coin is essentially redundant. If you are going to have a useful coin, it is the quarter. That’s what parking meters and laundromats all desire. On some rare occasions you may receive a $1 coin, which parking meters also like, but that hardly ever occurs. If the movie Catch Me If You Can didn’t highlight how fraudulent the world of cheques is, then I don’t know what would. They love those bits of paper with amounts written in full and displaying your autograph. Currently Chase Bank are advertising a phone app that takes photos of your checks and then deposits them automatically in your account. I find this ridiculous. If you’re going to embrace mobile technology, just get with the sometime-ago technology of online banking and bpay! In Australia, no landlord accepts cheques, hell, hardly anyone accepts cheques nowadays. Here, you have to furnish your landlord with a cheque. There’s no alternatives for cash or electronic banking. Totally weird. Withdrawing $500 from the ATM gives you 25 notes. I’d say that is akin to losing the game of Uno. 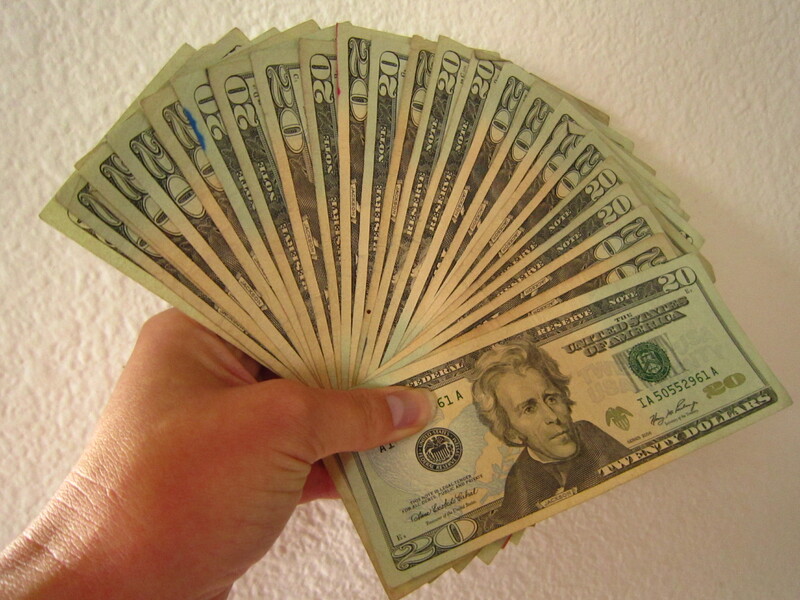 If you withdraw the usual ATM maximum of $500, it spits out twenty five $20 notes. TWENTY FIVE! Some ATMs allow you to a) withdraw more and b) give you $50 notes, but that is not the norm. So I guess you could say that I’m finding these monetary issues frustrating. I just don’t get it. But on the bright side, the cash and cheque deposit facility on the ATMs here is great. You just feed them in like a carpark pay station and it automatically deposits. I never thought I’d miss our colourful Aussie money or banking processes, but we really have a great system. 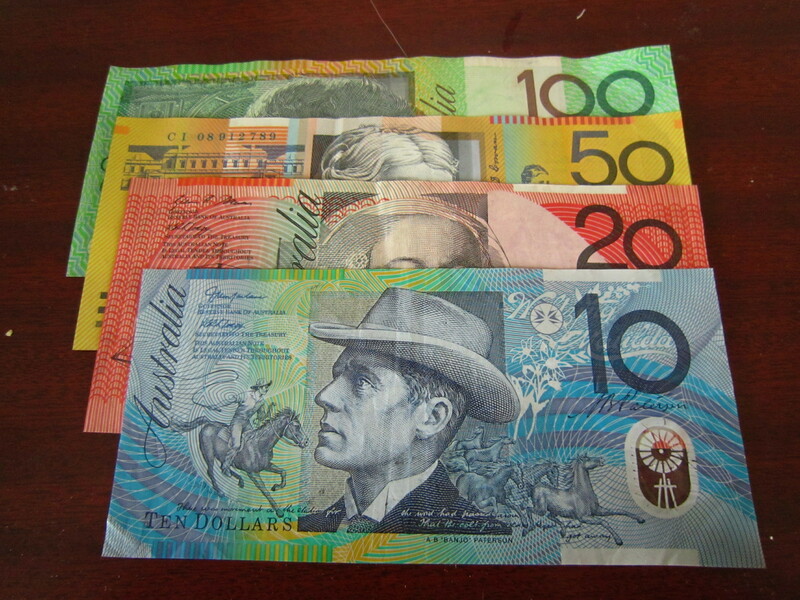 Ah, the colourful (and different sized) monetary notes of Australia.